Metals explorer, Kingston Resources (ASX:KSN), today informed the market that it is set to begin a major drilling program at its Misima Gold Project in Papua New Guinea. A long-term diamond drill contract has now been awarded. 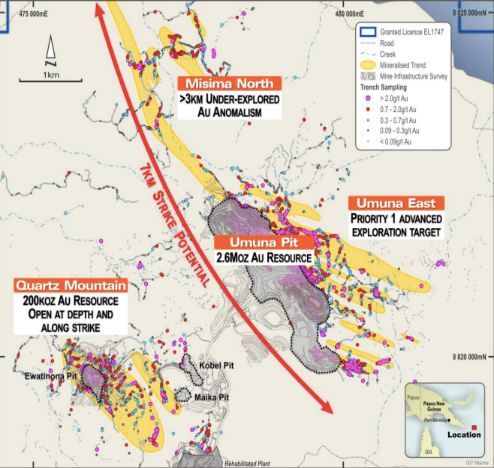 The priority focus of the initial program will be a series of highly prospective gold targets within the Umuna East target area, with the intention to expand the current JORC Resource, which sits at 2.8 million ounces of gold. 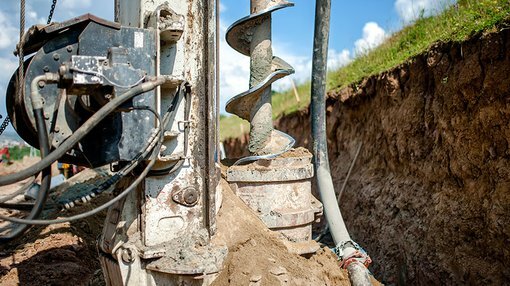 Diamond drilling is scheduled to kick off in April and run until late December. Mobilisation of the drilling rig, consumables and equipment via barge from Lae, PNG, will begin in March. Preparations for earthworks for drilling platforms are already underway. Encouragingly, the successful drilling contractor has a 25-year track record of safe and productive exploration drilling within PNG and the Asia-Pacific region. KSN has also commissioned a study of the structural controls on mineralisation at Misima with an independent consulting geologist. This study, which begun early this month, is expected to be completed in March. The results of the study are expected to provide KSN’s geological team with an enhanced understanding of the structural architecture controlling mineralisation on the project —especially in relation to targets where structural and lithological controls are likely to have produced high-grade mineralisation. An airborne LiDAR survey of the project is also expected to be completed in the coming quarter. This will provide the first high-resolution terrain model of the whole project, enabling additional information to be merged with mapping data, as well as allowing KSN to design future drilling locations with increased confidence. Interestingly, LiDAR has the benefit of being able to penetrate through rainforest foliage, resulting in a high-resolution 3D scan of the earth’s surface. However, it is an early stage of this company’s development and if considering this stock for your portfolio, you should take all public information into account and seek professional financial advice. “Kingston’s proposed drilling program is the first gold drilling program carried out on Misima for nearly 20 years which is exciting, considering the historical operation produced over 3.7Moz of gold at U$218/oz and left behind a substantial resource. The company currently has a 49% interest in the Misima Gold Project which will increase to a 70% interest following further expenditure of A$1.8m, budgeted in the next six months,” said Corbett.